Take benefit from our expertise if you want to learn more on the subject of data dcience and if you are interested in testing new problem-solving approaches. We would be delighted to analyse your data potential and look at additional possibilities for applications you have already implemented. 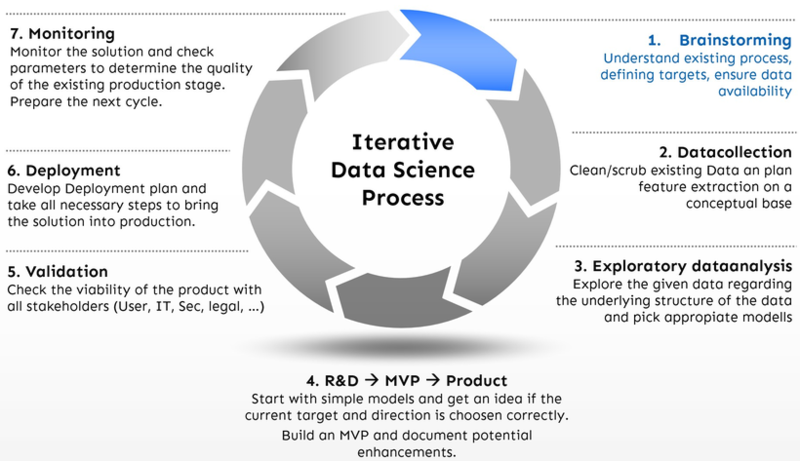 In case you have already started developing a data dcience project plan, or if you are currently in the evaluation phase, we can provide you with support for the efficient realisation of your data science project. Which data is available and in what form? What is the current or the future volume of data? How often is the data generated and/or changed? Which known relationships does the data have? Are there any restrictions to the use and storage of data? Which data interfaces are available? In the next step we will analyse the collected information and identify potential "low hanging fruits". Low hanging fruits are projects which can be quickly realised with little effort, resulting in a noticeable added value for your company. The graph on the left shows the result of an analysis of potential. The represented data simplicity depends on your usage. 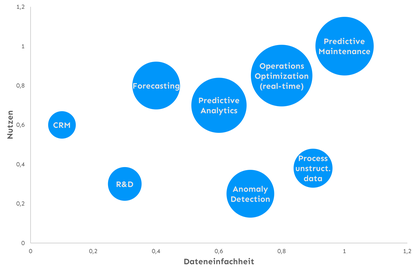 The size of the circle represents the reusability of the data science solution. Core principle: Move fast. Fail fast to innovate faster. Before we start putting the plan into action, we will support you in clearly formulating your goals and strategies. Together we will develop a concept for the execution of your project. It often makes sense to first implement the plan in a quick and economical way by means of the prototyping approach. This allows us to confirm whether the idea is actually doable and its realisation feasible. The plan can be readjusted based on these first results. 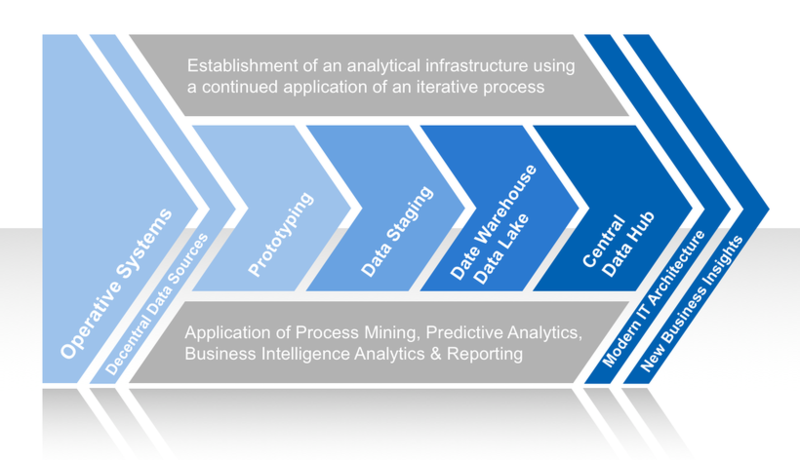 Through the repeated use of an iterative development process during a data science project, we create a modern analytical infrastructure which provides a long term, recognisable added value for companies or their organisations.